log on to starseedenergyradio.com for past shows and news updates! 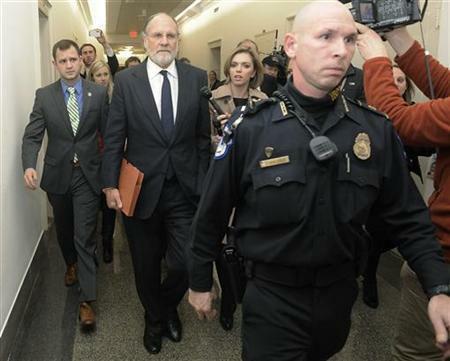 Last Thursday under the order of one of three Congressional Subpoena’s filed against former MF Global CEO Jon Corzine he came to sit before the U.S. House Agriculture Committee in Washington D.C. for questioning on the whereabouts of the over 1 billion dollars in vanished funds. A primary goal of the this first round of inquisitions were to reveal where the misplaced customers segregated accounts went. The amount missing is purported to be anywhere from 1.2 billion to almost 3 billion dollars in holdings which disappeared from the investment banking firm that was MF Global. When Jon Corzine was asked as to where the missing funds in question may be he replied,”I simply do not know where the money is, or why the accounts have not been reconciled to date,” he told the House Agriculture Committee, adding that he was “stunned” when he heard of the missing funds. United States Lawmakers were not digesting any of his clueless replies in regards to where the money had gone. “We’ve got to get better answers from you because you were the CEO,” he said. Lawmakers continually hounded Corzine as to whether or not he authorized the use of customer funds for proprietary investments. Corzine said again and again, “I had no intention of moving customer money to proprietary accounts.” “There is no intention, under any context that I can think of, that I was authorizing tapping into segregated funds,” he said. In the last couple of weeks MF Global financial investment firm gets away with extorting anywhere from 1.5 to just shy of 3 billion dollars of clients segregated accounts including Gerald Celente’s account. Gerald Celente is the founder of TRENDS Research Magazine of trendsresearch.com. One of the more ethically questionable international investment banking firms JP Morgan will be absorbing the dissolving MF Global company’s LME (London Metal Exchange) holdings. The majority of the at least 1.3 billion of which they cannot locate of people’s individual accounts in silver and gold ETF’s may not even be reimbursed to the understandably agitated investors according to JP Morgan. 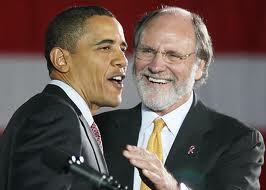 Interestingly ironic is that Jon Corzine is a recent U.S. Governor of New Jersey from 2006 to 2010, a former CEO of Goldman Sachs in 1999 and then MF Global in 2010 which is now at the center of the congressional insider stock trading legal debacle. Financial regulators Monday banned the kinds of sweet insider trading deals that may have contributed to the bankruptcy of MF Global and the downfall of Jon Corzine. Today Tuesday the 6th of December 2011 The House Financial Services Committee will commence a hearing on such purported trading within the very halls of U.S. congress. A public servant of the United States main motivation should be to protect and serve the people from threats both foreign and domestic instead of lining their pockets with greenbacks. This espouses a financial collusion against not only the citizens of America but any global free market society. A recent “60 Minutes” piece focused on financial transactions involving House Speaker John Bohner (R-OH), Democratic Leader Nancy Pelosi (D-CA) and Rep. Spencer Bachus (R-AL). Each of them deny any unscrupulous actions were committed. Just when you think Occupy Wall Street is beginning to lose gusto as cities like New York or D.C. are increasing the rhetoric against the peaceful protesters who speak out against just this kind of extortion. This is just the news needed for the 99% to fuel the couple month long grassroots activist movement further. It has been revealed JP Morgan has been at the forefront of funding New York City Police Department’s oppression of peaceful protests via doling out N.Y.P.D. holiday bonuses for law enforcement. Just like separation of Church and State there should be a separation of Investment banking firms and State. A Latin saying that always gives me hope Veritas Vos Liberabit, The Truth Shall Set Us free.